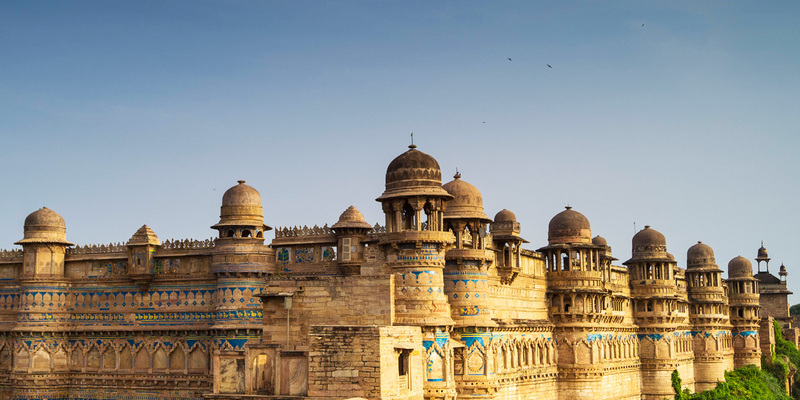 Situated at the northern tip of Madhya Pradesh, Gwalior is a busy town which is dominated by a thousand-year-old sandstone fort which sits majestically high on the cliffs above. Within the walls of this magnificent structure are palaces, temples, gateways and water tanks which help to bring alive the stories you will hear of its fascinating and turbulent history. 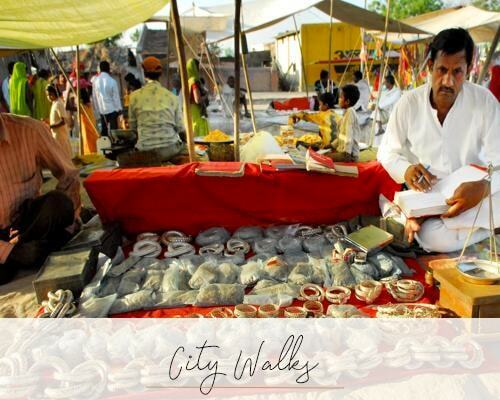 It is easy to spend half a day exploring the fort whilst listening to its stories from ancient times. 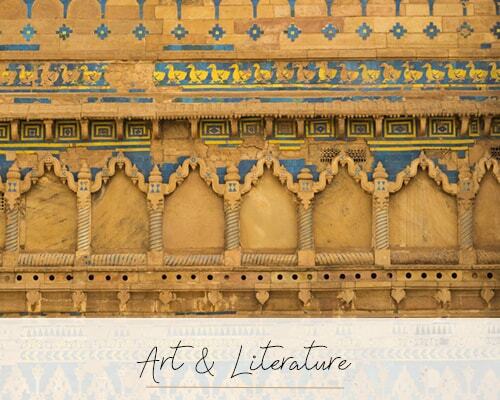 For a different perspective, you can also revisit in the evening when it is illuminated by a son-et-lumière show. After the fort, visit the Muslim Old Town at the bottom of the cliffs which has a fine mosque, the 16th-century Mughal Tomb of Ghaus Mohammed with beautiful pierced stone screens (jaalis). We also recommend a visit to the outrageously over-the-top (and still part-occupied) Jai Vilas Palace, with its Scindia museum. The palace was stocked with antiques and furniture imported from Europe in the mid 19th-century. It is famous, amongst other exhibits, for having the largest pair of crystal chandeliers in the world and a solid silver, working train built to travel around the dining table to carry condiments.